I love this weeks challenge! I love to make boxes and bags and this one is a melstampz one. Go and check out that link if you have a day to spare perusing all the bag templates there! 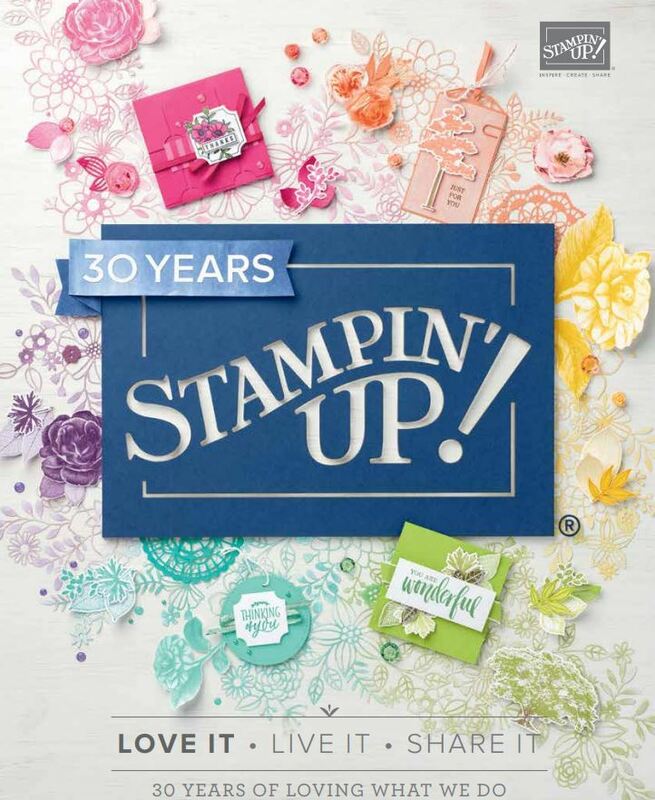 fabulous resource!! Ive made mine using the Celebrations DSP. I love the new tasteful trim die which I used with the new adhesive sheets (love these) onto chipboard (I just use the backing chipboard in the DSP packs) to make the handle. Inside is 3 little cards and used the leftover chipboard from the handle for the scallop trim. The mini envelopes are so cute!! The covered notepad was just using leftovers and the hippo is from look whos turning stamp set. Ive used sincere salutations for the greetings onto the new decorative label punch. So hope you play along with us at Just Add Ink this week. Go and check out the fabulous creations that the other Design Team girls have created. We also have two guest designers this month so check them out too. This little project certainly has the WOW factor. 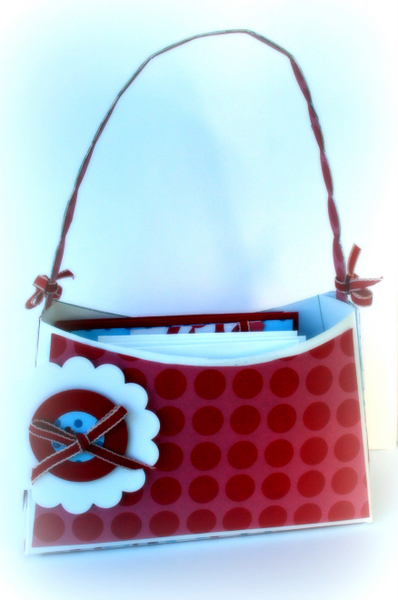 Love your little red handbag and matching cards! Delys I thought WOW when I saw your cute little bag but popping in here to your blog and seeing all what you had inside I say WOW WOW they are awesome, so bright and cheery! 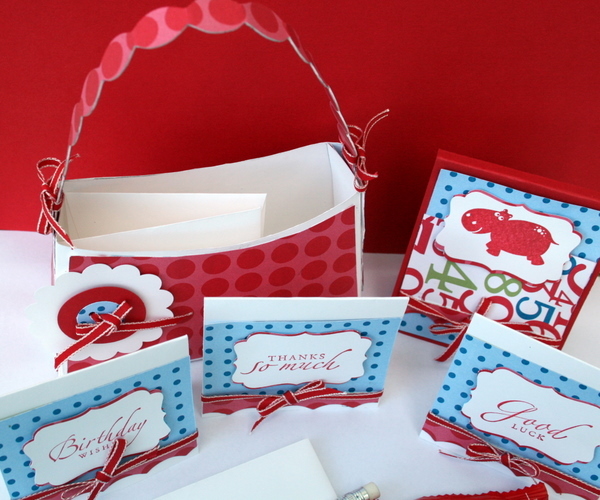 Delys this very cool, love that you can fit all those cards in too! A super cute set, Love it! What gorgeous, tiny, things!!! LOVE! What a wonderful set Delys. I absolutely love the handle on the bag it looks fantastic and the new punch looks great with the hippo and sincere salutations too. I had decided I didn’t need those things, but now you’ve convinced me otherwise!!! Fantastic to see the whole set Delys – what a gorgeous gift. 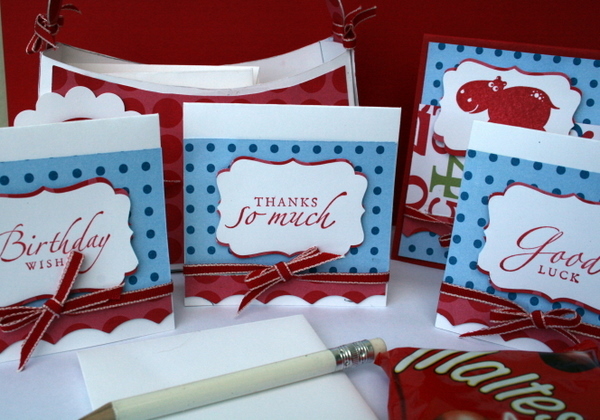 The cards are little classics and great to see how we can use the punch with different sets.